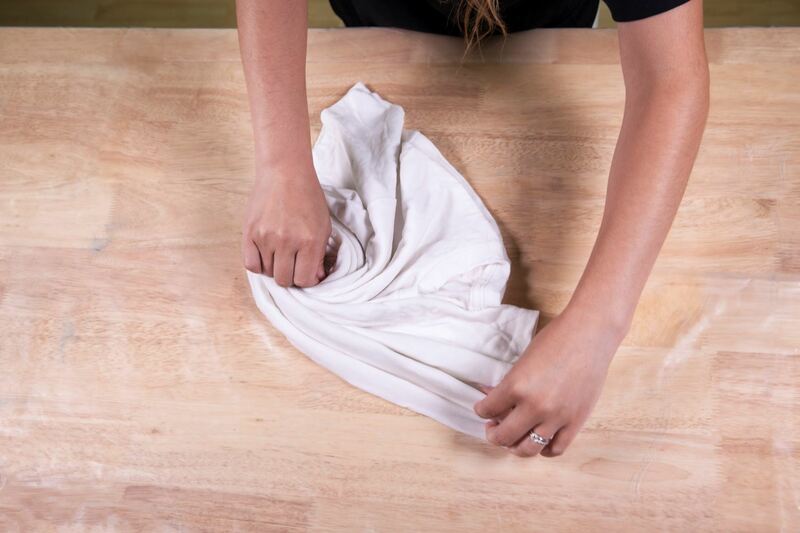 Dampen your shirt and fold it in half on your work surface. 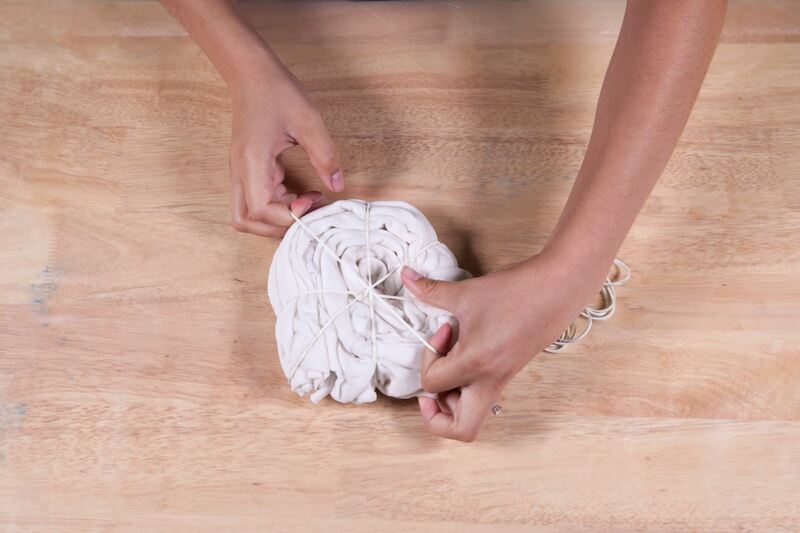 On the fold and in the middle, start twisting your shirt into a spiral. Wants securely in your spiral design, hold in place using rubber bands. 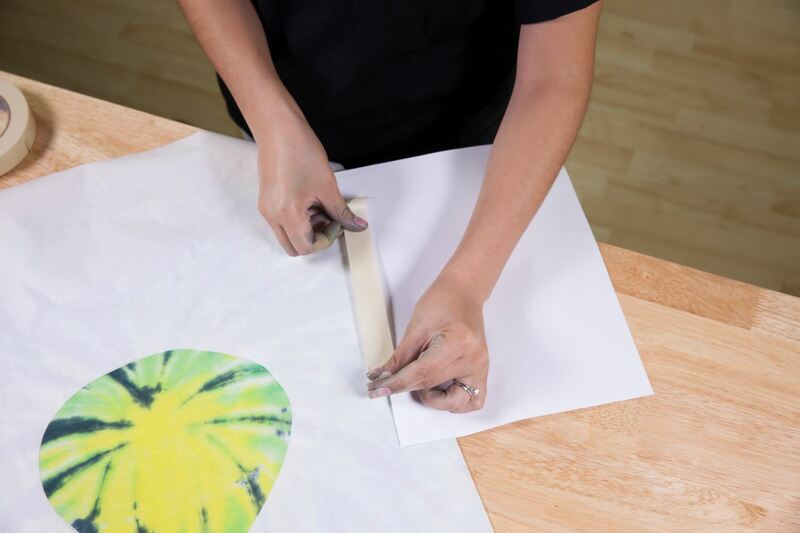 Take your Tulip One-Step dye in yello and fill in the center of your bound spiral. 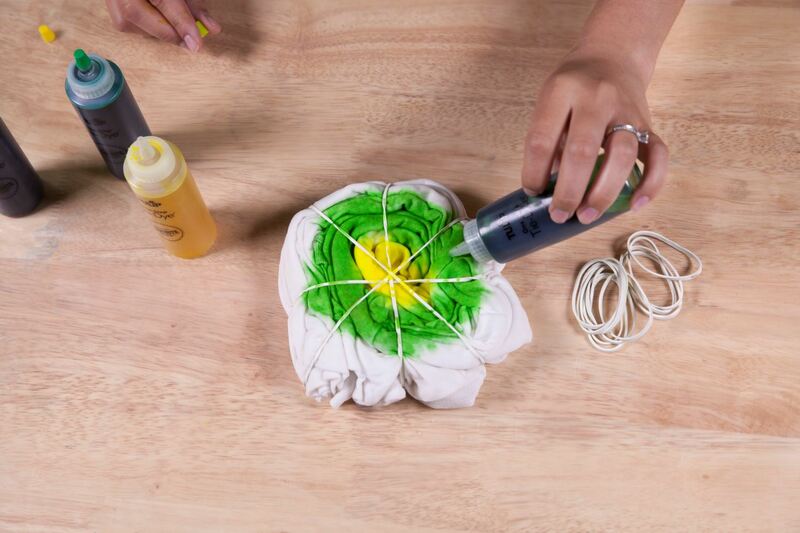 Go around it with the lime Tulip One-Step Tie Dye. 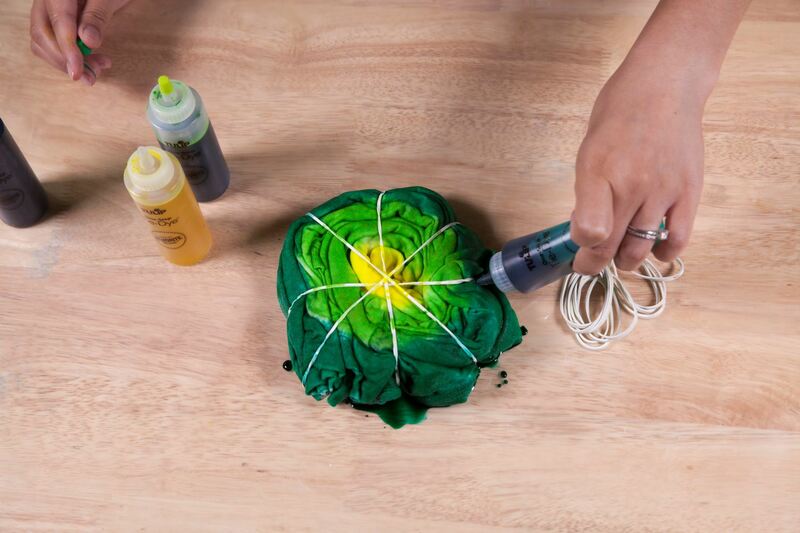 Now go around the lime with your darker green Tulip One-Step tie dye. 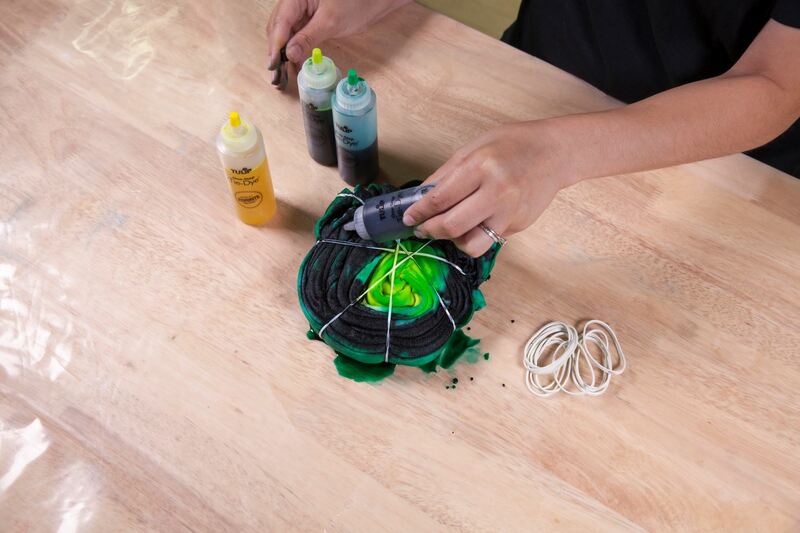 Flip your spiral over and fill in your design with black, leaving the middle green. 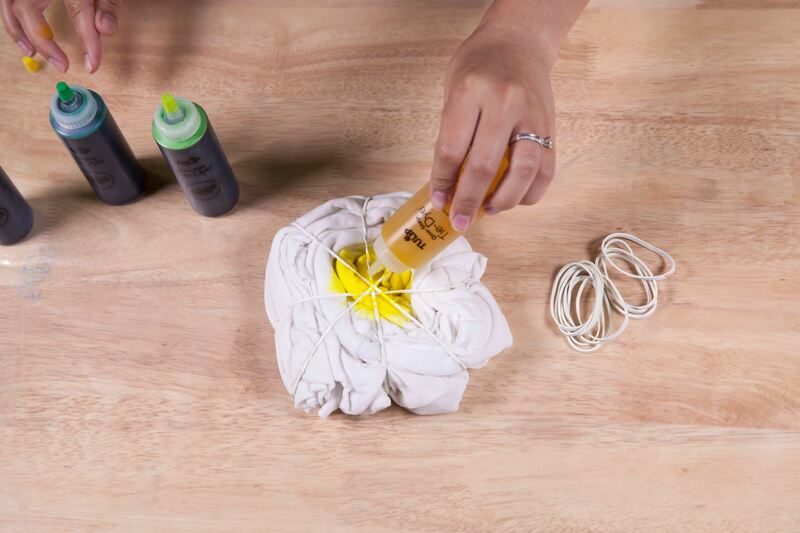 Place your shirt in a plastic bag and let it sit for 6-8 hours. After it has set, rinse, wash and dry your shirt. 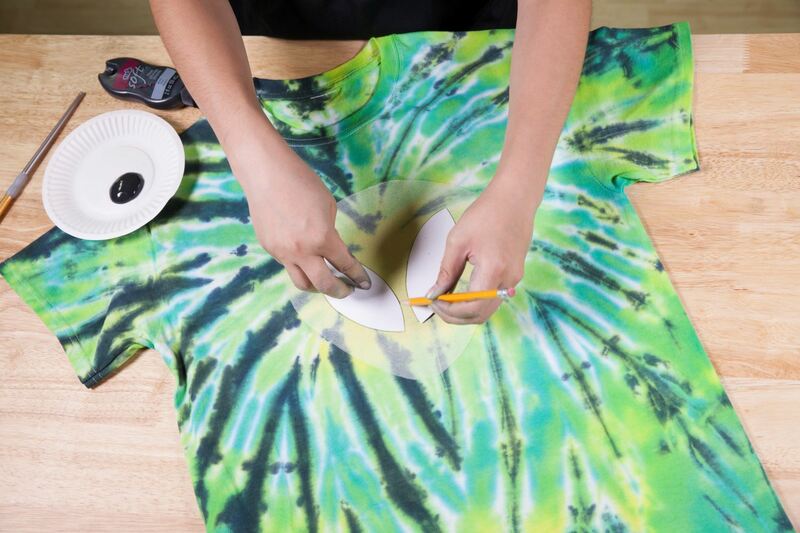 Make a alien face stencil from freezer paper and iron onto the center of your shirt. 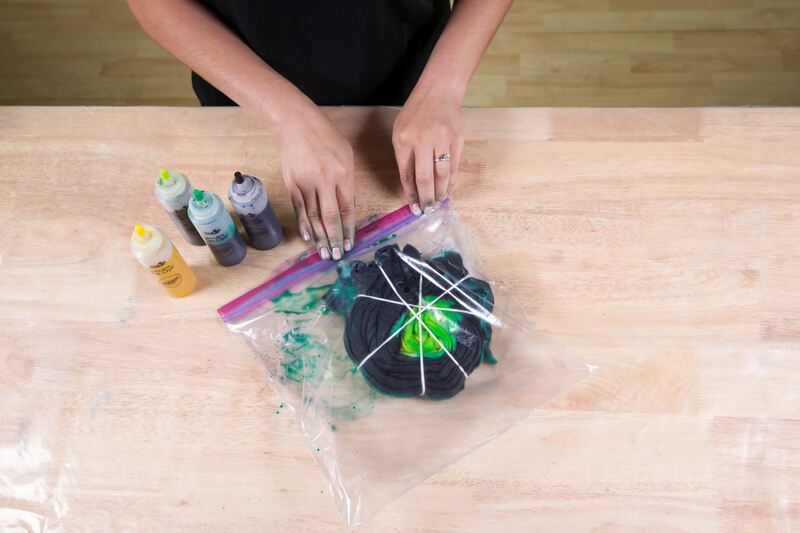 Make sure to securely tape off your shirt with additional freezer paper. 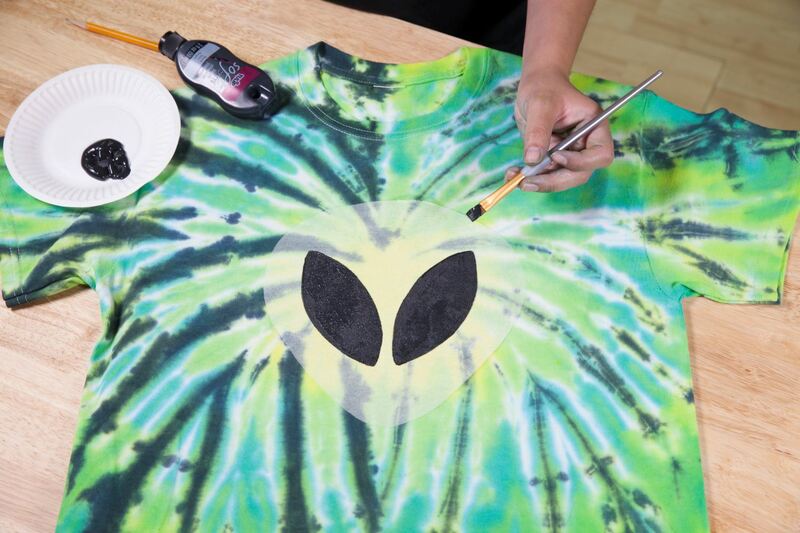 Use Tulip ColorShot Fabric Color in glow to make your alien head design. 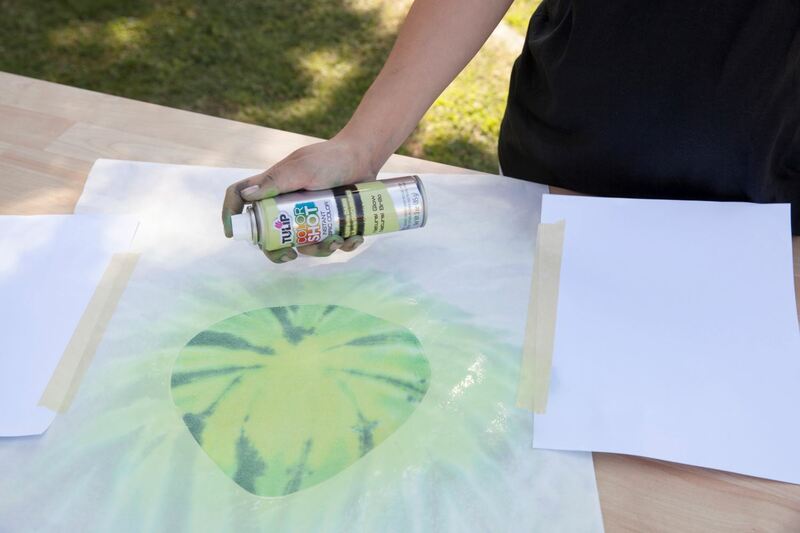 Spray an even coat first, then let it dry, then add an additional coat. 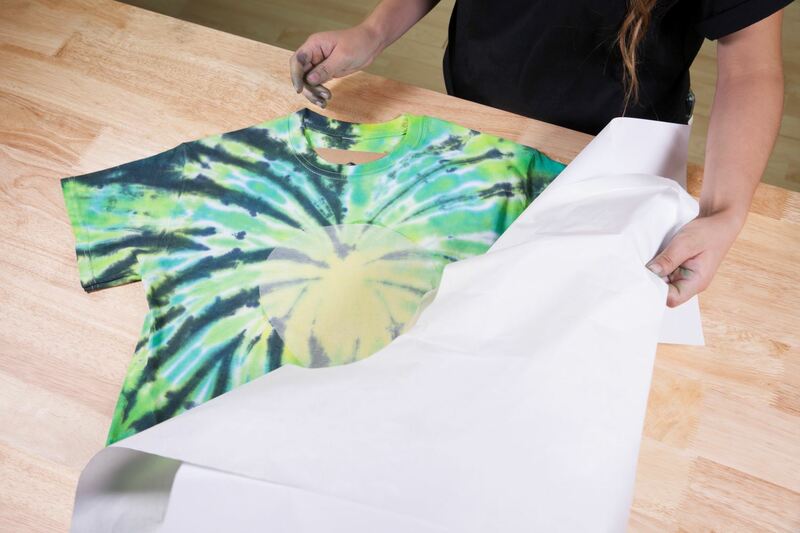 Once dry, peel back the freezer paper from the shirt. Make two alien eye shapes from paper and trace them lightly with your pencil over the glow area. 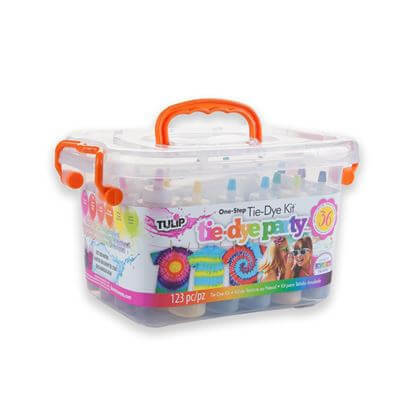 Fill in the design using Tulip Soft Fabric Paint in black. Let dry.